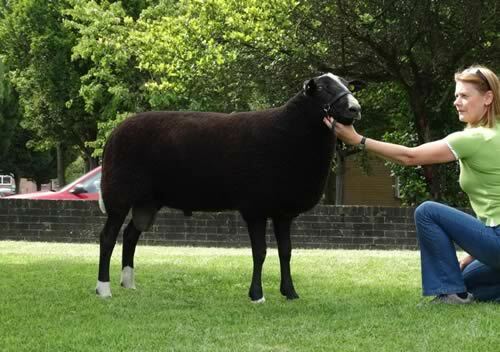 The first premier sale held at Harrison and Hetherington Carlisle on behalf of the Zwartbles Sheep Association saw a top price of 3000gns for the shearling ram Wallridge Moor Ajax bred and shown by Caroline Anderson, Ingoe, Northumberland and selling to Northern Ireland breeder J Porter’s Gillhall Flock Lisburn. Ajax stood first in his class and reserve male champion at the pre-sale judging and is no stranger to the show ring as this year he has already collected this season the male championhship and reserve interbreed pairs award at the 2014 Great Yorkshire show. Other leading shearling ram prices were 1100gns for Smiddy Hill Alfie from C & H Duffy, Stranraer selling to an undisclosed buyer from Ireland and 900gns for Hillside Amazing from C Holden, Oswaldtwistle, Lancashire to C Middleton’s Mittonvale flock Clitheroe Lancashire. Topping the ram lambs at 1550gns was East Middle Ben Nevis from Charles Scott Hawick selling to Heather Hourston’s Didcot flock based in Orkney. Other leading ram lamb prices were two at 1500gns. The entry came from G A & H M Francis with Pistyll Boomer who was the overall supreme champion in the show and sold to Torranyard flock near Ayr. The second 1500gn bid was for Wallridge Moor Blaxster from C Anderson, Ingoe selling to J Campbell Croy Cunningham Head Farms, Glasgow. Selling for 1450gns was Wallacetown Barney from C & S Rae, Collin, Dumfries purchased by S Elliot’s, Cavers flock, Hawick. Aged rams topped at 750gns twice for Pendle Wide Load from I & T Hartley, Lancashire selling to GA & HM Francis Carmarthen and Killymallaght Wolfman from A & R Megarrell, Co.Londonderry to H McCornick’s Stewarton flock, Newton Stewart. In the female section aged ewes topped at 500gns for Blacklee Seana from J Scott, Kirklinton selling to Master Dixon’s Beech House flock based near Aspatria, Cumbria. Shearling gimmers topped at 850gns for Killymallaght Awesome from A & R Megarrell, Co.Londonderry selling to R Douglas’s, Hopefield flock, Kinross. Further leading gimmer prices reached 750gns for Wallridge Moor Aurora again from C Anderson, Ingoe selling to Master Dixon, Aspatria’s Beech House flock and two at 500gns a Pistyll gimmer again from G A & M Francis selling to Peter Walton Earlston’s Beechwood flock and Scottfair Allysia Jo which sold to WE Dickin’s, Lanehead flock, Halifax. Ewe lambs were a flying trade and topped at 1400gns twice for Joyfield Bonnie from J Millar & J McKenzie, Lockerbie which sold to S Baird’s, Lochwood flock, Moffat and Broomfield Breeze from A Baillie & T Jackson, Lanarkshire selling to David Moir’s Cairness flock, Aberdeen. Further leading ewe lamb prices were 1000gns for Pendle Black Liquorice from I & T Hartley, Nelson, Lancashire this lamb being the female and reserve overall champion in the previous night’s show and selling to B Scott’s, Speyside flock, Banffshire and 820gns for Thistledome Blue Arc from K Shaikh, Glasgow selling to R Heigh’s Brookdene flock, North Yorkshire. Averages: 3 aged ewes £266.00, 55 shearling ewes £306.03, 63 ewe lambs £313.50, 2 aged rams £787.50, 10 shearling rams £746.55, 37 ram lambs £545.15, 4 non MV aged ewes £168.00, 2 non MV shearling gimmers £168.00, 4 non MV ewe lambs £102.38.